This is the final portion of a work-in-progress paper on the Rainbow Gathering, and specifically the importance that I believe it holds to the freedom movement, both as proof-of-concept and as an already established global network. I am very much looking for input, please give any feedback, ask any questions, and generally just let loose, so that I can create the most fleshed-out writeup possible. Don't worry, just because the Gatherings are a short-term events popping up here and there, doesn't mean there are no permanent manifestations of Rainbow. The connection, support, and infrastructure extends far outside the gathering as well. The Rainbow network is made up of 3 main components: the permanent Gatherings/villages, the rolling kitchens, and the individuals and households that function as way-stations for traveling family. All around the world, you can find Rainbows ready & willing to help out family in need. This network is completely decentralized, and mostly available through word of mouth, various Facebook groups, email lists, and the Light-Line. In my travels, I have stayed the night with various people I've found this way, and on my way to last year's National Gathering, a brother I connected with on Facebook drove 2 hours out of his way to pick up my little sister and I, bringing us to the Gathering. When the Gathering is over, many of the kitchens that feed people at the Gathering load their equipment and crews onto a converted school bus, and head out onto the road to spread the Rainbow ways and feed people for free. At any given time, there are dozens of rolling Rainbow kitchens setting up at things like Standing Rock & Ferguson, working with Food Not Bombs, and of course feeding at regional gatherings throughout the year. 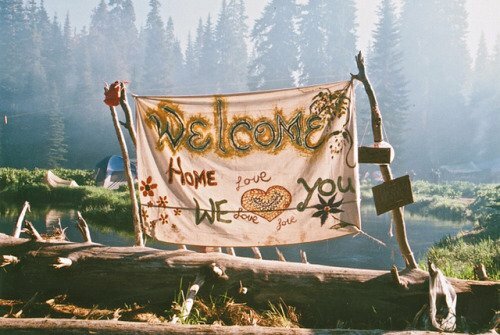 The most permanent & self-sustaining manifestations of the Gathering are the intentional communities and eco-villages. Although there are a variety of communities around the world that live in alignment with the values and practices of the Rainbow, there are also a small handful that literally came out of Rainbow, or are even permanent Gatherings themselves. My favorite example of these is East Wind, which is a kitchen, setting up at Nationals every year, and usually bringing a bus load of people and 5-gallon buckets of peanut & almond butter from their eco-village in Missouri. Their village houses between 80 & 100 people at a time (they've even started having babies born there), operating on a completely anarcho-mutualist system. They grow their own food, share their clothing, and make & sell rope sandals, nut butters, and excess produce to cover monetary expenses. 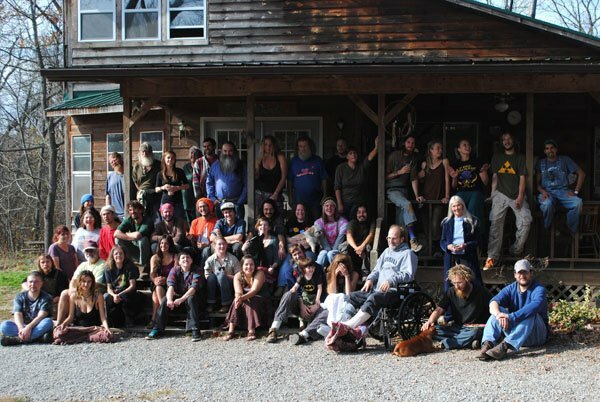 Having traveled to a huge variety of festivals, conferences, convergences, and other world-changing events over the last couple of years, I can definitely say that the Rainbow Gathering is by far the most life-changing, and the best example of the practice of "act as if you already are who you want to be". From decision-making to waste disposal, from emotional connection to feeding masses, Rainbow offers us solutions that can be applied to almost every aspect of human life. Most of those on the an-cap side have reached the ideas of anarchy through critical thinking, philosophy, reading, and debating, while those on the hippie side have reached these ideas through personal experience, suffering/empathizing with oppression, and the need for community. Folks want to live different lives themselves. Some are entrepreneurs and want to have to compete and push themselves more and more every day to survive, while others want to work cooperatively, live simply, and produce all their own necessities of life. Thanks for your time, and I hope you enjoyed this! Be sure to follow me to catch all of my vegan recipes and articles about world travel, philosophy, and living a life you love! I am stunned to be the first to comment here. I re-steemed your first post weeks ago, but I just finished reading through all five parts! Well done! I love the tag-line of this series: "Decades of Beta-Testing Anarchist Society". That's so real. I'm almost ashamed to say that in my 40 years on the planet I still have yet to make it to a Rainbow Gathering... Though I've been to countless other festivals, large and small, it does seem the RG has been overlooked in a way, perhaps as anachronistic or something, but reading your series reminded me of what a pioneering effort in sustained human cooperation this has been throughout the years. I think I'll find my way to one of the next gatherings! It's about time. Thanks again for writing this, I hope you continue to refine and expand it to your liking, and for the benefit of all who are looking for examples of anarchism in action. Thank you so much for your reply, I don't know how I never replied to it, as I remember reading it. WAU!! Thank you thank you thank you! I was just about to start writing about Rainbow and then I decided to do a quick search and came across this. Beautiful. Thank you for being such a warrior! I'm especially happy to learn more about the permanent Rainbows like http://www.eastwindblog.co is. It's good to see a functioning model in Babylon. Please share more permanent project if you can. There are so very many permanent projects, some spun-off from Rainbow specifically, and others simply holding many of the same principles. 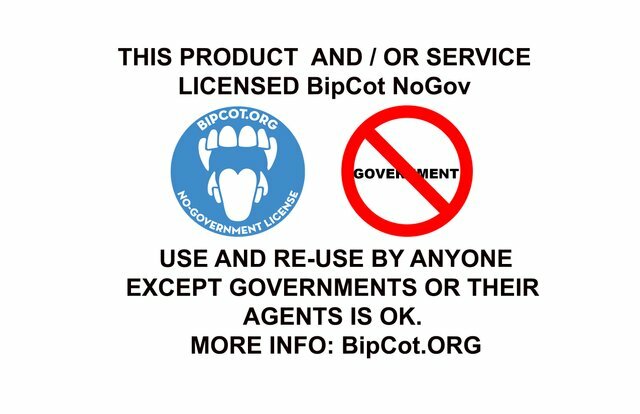 I'd highly recommend checking out ic.org, NuMundo, the FEC, the New Earth Nation, and the StarTribe Alliance just to name a few umbrella projects. I so badly want to attend one!!!!!! I LOVE the title and the premise. I would like to know how do the "Rainbows" see private property? And what do they think of Marx? My experience with this kind of people is that most of them are lefties who want to redistribute property first before the have their Anarchy. Rainbows don't share any beliefs or thoughts outside of what I wrote about in the first part of this series, which may even have some of my own bias attached to it. As a truly decentralized, non-organization, there is no shared dogma to the Rainbow Family besides that we are all family. One of the "rules" of the gathering is that there are no ground-scores until after it ends, so even if someone finds an item on the ground somewhere, they are going to bring it to the nearest public place (or all the way to Info Camp) and hang it up for the owner to find if they come looking. All exchanges of physical items at the Gathering are done on the gift economy or barter as well, so whatever you would like to extrapolate from all of these things and their relationship to property. As for Marx, I would guess that most Rainbows haven't read him, just like most other humans on the planet who have no actual idea what his ideas were, just brief comments on him from other people. I am curious what you mean by "this kind of people", because that's generally the sort of phrase someone uses when applying a prejudice to a large group of humans based on a couple of experiences, that often aren't even applicable. The Rainbow is an event, a family, an idea based fundamentally on peace, cooperation, and voluntary interaction, so the idea of forced redistribution is completely anathema to the concept of Rainbow. Thanks Kenny for your answer! Yes, like you say, I got prejudices because if met some people before who went or were planning to go to the gathering. I just should give it a try!